The Deutsche Orientalistentag (DOT) is the largest professional meeting of Oriental Studies in Germany and one of the most important scholarly Orientalist congresses in the world. The range of disciplines encompasses the Ancient and Modern Middle East, including North Africa, as well as all of Asia, with particular emphasis on Central, South and South East Asia. The DOT is administered by the Deutsche Morgenländische Gesellschaft (DMG), which entrusts a university with the organization of the congress. The first DOT took place in 1921 in Leipzig. 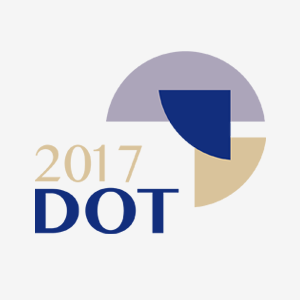 In 2017, for the first time in history, the DOT will be held at Friedrich Schiller University in Jena, Thuringia. - the rising interest of Western scholarship in Oriental cultures and history, including the history of Oriental research in more recent times. The theme is intended to promote contributions addressing these topics, but papers, panels, and workshops devoted to other branches of scholarship are equally welcome. All colleagues are cordially invited to present the results of their research, and to discuss them with an expert audience.